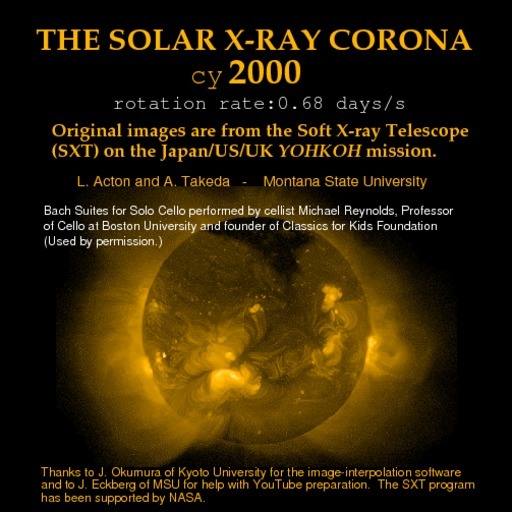 Movie of the solar corona taken at soft x-ray wavelengths in 2000 as sunspot numbers and coronal activity reach a peak. Large x-ray-dark coronal holes reveal areas where the sun's magnetic fields are open to interplanetary space. There is a dip in sunspot number around January 2001.